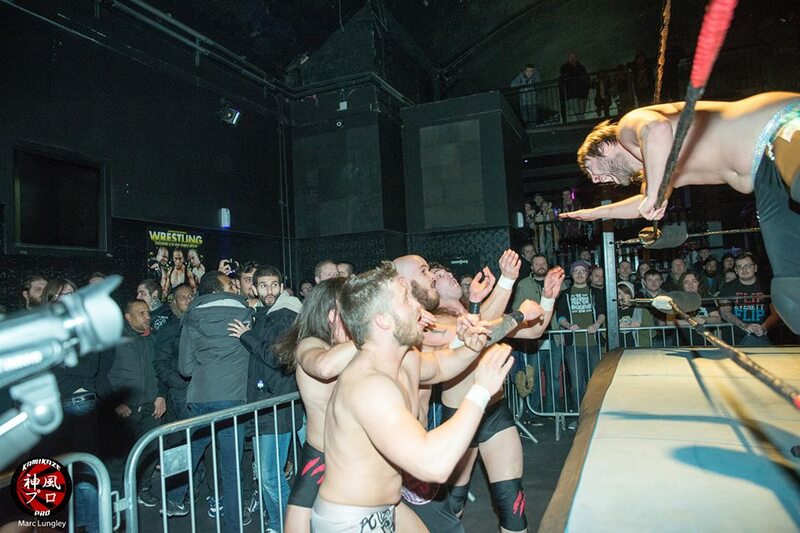 On 4th March 2016, Kamikaze Pro held Underground at The Empire in Coventry, West Midlands, England. The show featured Ryan Smile defending the Kamikaze Pro Relentless Division Championship against a debuting Will Ospreay, Robbie X putting the Kamikaze Pro Championship on the line against AAA star Angelico and The Hunter Brothers defending the Kamikaze Pro Tag Team Championship in three way action against Born 2 Fly and Mika & Elliot Jordan...but was it any good? Let's take a look! 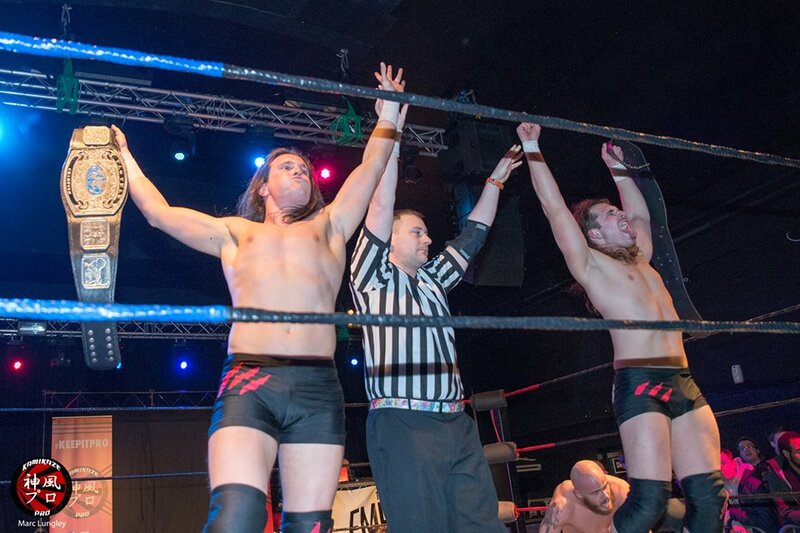 The opening contest was a solid three way tag team match, with The Hunter Brothers picking up their 11th defense of the Kamikaze Pro Tag Team titles. Kamikaze Pro Dojo graduates Elliot Jordan and Mika handled themselves well as the only heels in the bout as they had section in control of members of both of their opponents, whilst also managing to control a lively all-standing Coventry crowd. Whilst both men have grown as performers over the last year, one part of the match that I struggled to buy into was either of them getting a Tag Team title shot and the same can be said for TJ Sky and Kieran Young of Born 2 Fly. Jordan and Mika by this point were yet to win a match as a tag team, including a 4 way shot at Hunter Brothers title back at 2nd Anniversary Show in June 2015 and a two v two bout at Bad Apple in February 2016. 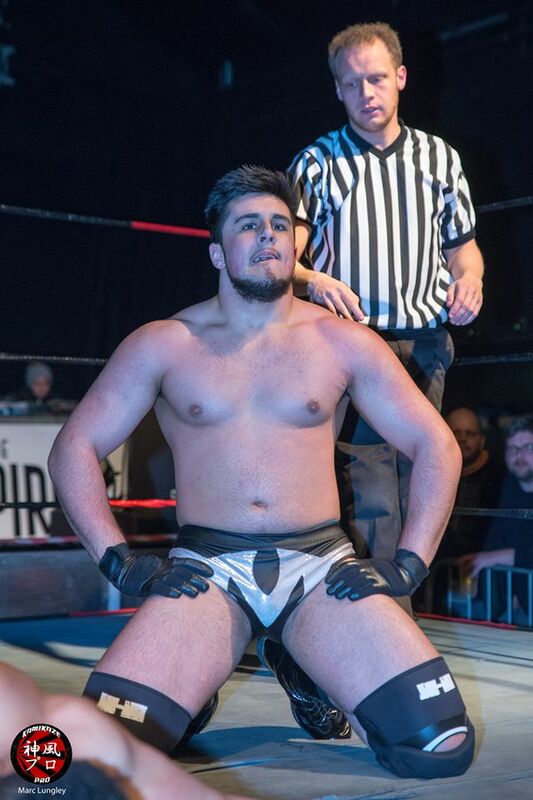 Born 2 Fly's only previous appearance for the promotion had been a handicap loss to Dan Moloney at Sky's the Limit 2 in May 2015! Whilst I had problems with the titles being on the line, the spot-based action of the 2nd portion of the match got the crowd warmed up nicely with all six men working hard to put on some cool moments. A sweet Tower of Doom spot stands out as one of the strongest of the bout, as does a powerbomb spot over the ringside barricade. Having seen The Hunter Brothers used their Giant Swing into Dropkick combination as a near fall in other promotions I always find it hard to buy into it as a finish at Kamikaze Pro and I felt the same as usual here. Despite the action being fun and pacy, nothing made me feel like the Hunters weren't walking out with the titles, and there was a distinct lack of near falls in the closing stages which could have really pushed this match to the next level. An okay opener, but nothing more. It's been a fantastic experience to watch Omari develop over the last year and this match was his strongest to date, against a Dan Moloney who has also improved ten fold since I first saw him in action. It felt like the two performers connected early on here, with their characters gelling really well. It wasn't a particularly flashy or complicated bout, but what was done was well and the crowd bought into the simple storytelling and remained hooked throughout. My favourite part of the contest was Omari's comeback as he fired up and showed a side of him that I hadn't seen before. For those unfamiliar with The Big O, he usually portrays a fairly whitemeat babyface, so to see him get angry with Moloney and burst into a series of stiff strikes and really bring the action to Moloney. It added some much needed dimension to Omari's character and I'd love to see this side explored again over the next couple of shows. Maloney continued to build towards his eventual Money in the Bank cash-in, picking up the victory after nailing Omari with his briefcase. Maloney got a lot of heat from the crowd for this and took it well, he's a performer I'm looking forward seeing getting a major chance in Kamikaze later in the year and hopefully running with it and getting even more bookings across the country. This was the first match on the card to really stand out, as El Ligero met CZW's Shane Strickland in an Indy spot-fest done right. This was my first chance at seeing Strickland and he impressed me throughout, as the pair kept the action coming thick and fast. Lots of back and forth flips and tricks here, this was almost the complete opposite to the bout that had gone before it, bringing all the sizzle that the pair could find and then some. Considering this was the pairs first one on one match, I thought the action was surprisingly fluid here with the two transitioning from one portion of match pretty flawlessy. It was a shame that the ropes seemed to not want to play ball and the pair ended up slipping a couple of times which unfortunately did effect the contests pace and took me out of the match a few times. Whilst the match was mostly spot-based, there was at least some narrative going on here, as Ligero was constantly attempting to hit his C4L finish throughout the bout. He must have tried for the move at least three times, with Strickland managing to either dodge or counter the move each time. Whilst this was going down there was also some nice near falls for both men, with Ligero hitting a version of the Canadian Destroyer to reverse a powerbomb, whilst a Standing Spanish Fly also seemed to have the job done. 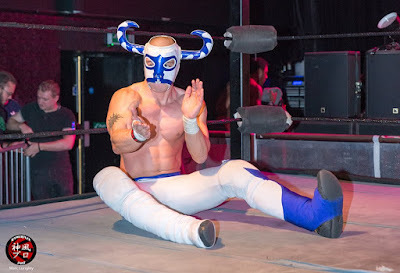 The closing stages were electric, as Ligero hit a beautiful reverse rana to set up for him to finally connect with the C4L and pick up the victory over "The International Swerve". This was Ligero's first victory in Kamikaze Pro since June last year and should surely put him back in the hunt for a shot at either of the singles' titles in the promotion sooner rather than later. 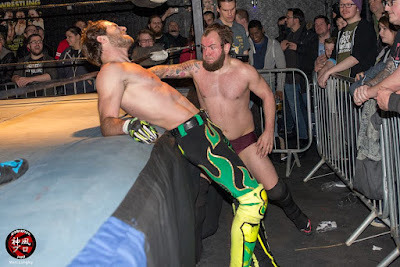 A rematch from Frost Fight 3 in Bournville last November, Clint Margera and Marshall X put on a belting No Disqualification Match to close the first half of action, as the two melded their style to produce a satisfyingly physical match-up. 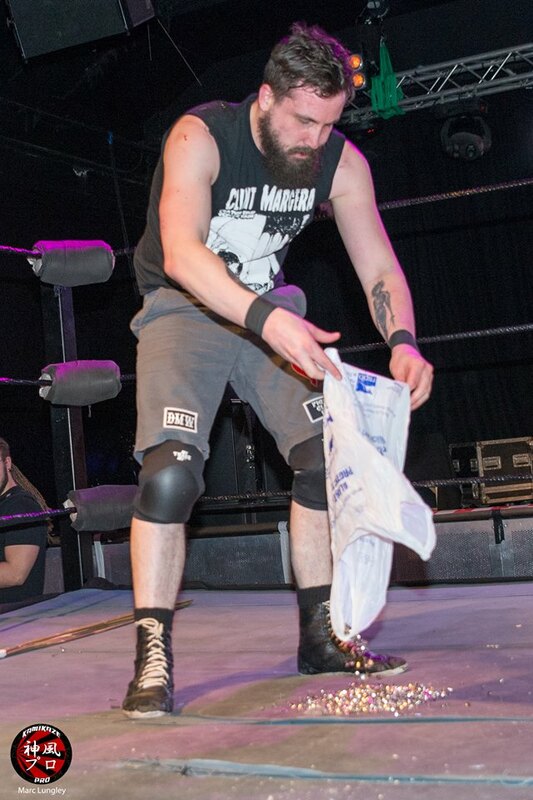 Of course, Margera is known for his Death Match style, having spent time in the USA, Japan and Germany with CZW & BJW, whilst ripping it up on these shores for Wolverhampton's Fight Club: Pro and No DQ matches with the likes of T-Bone, Chris Brookes, Abyss, Robbie X and Dan Moloney in Kamikaze and he bought some that here. Starting off with some crowd brawling which is always a lot of fun, before escalating into some vicious singapore cane shots, a clock smashed across the head, the arrival of a carrier bag full of thumb tacks and even the surprise return of Abyss' weapon of choice Janice (previously seen in the promotion at Monster in Bournville in July 2015). The contests brutality suited the all-standing mainly adult environment, it would have been interesting to see just how far these lads would have been willing to go had the show been an over 18's event! Whilst Margera is known for his violence, Marshall X is known for his shenanigans. Since Marshall joined The Bigger Picture it was only going to get more shenanigany going forward and this match didn't disapoint. Kamikaze Pro Champion Robbie X and Kamikaze Pro Relentless Division Champion Ryan Smile (with other member Damian Dunne teaming with "Flash" Morgan Webster in a losing effort to The Filthy Rotten Scoundrels over the PW4U Tag Team Championships in Newcastle-under-Lyme, Staffordshire on the same night) got all involved to stop a Margera pinfall, only to be chased away by the Hunter Brothers. The craziness of the final moments was suplement by a big ol' violent spot as Margera hit a Death Valley Driver onto the pile of thumb tacks to pick up the victory. A well-structured bout that lived up to my expectations heading in, providing plenty of violence and plenty of shenanigans, good stuff. "The All Day Star" and "The Aerial Assassin" have ripped it up together for SWA in Telford, Southside in Camberly and FPW in Sutton and they bought that action to Kamikaze's debut in Coventry, with Will Ospreay making his first appearance for the promotion, challenging for Kamikaze regular Ryan Smile's Relentless Division Championship. 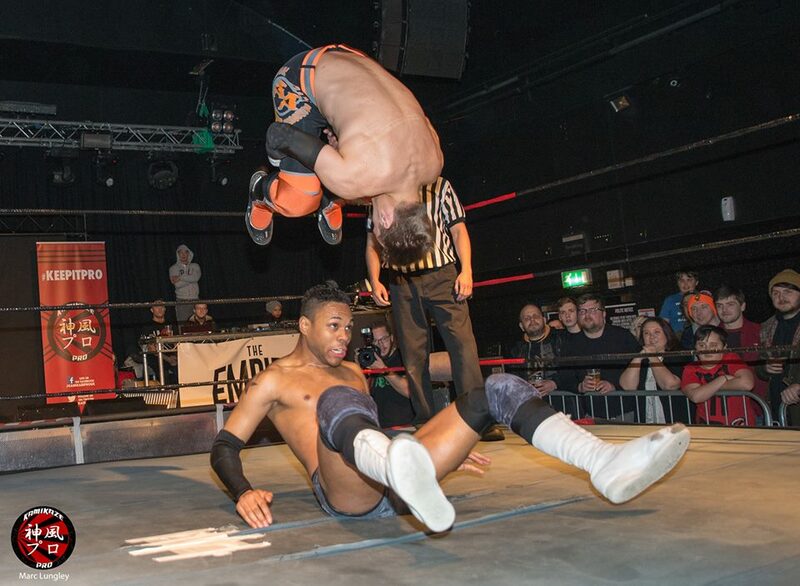 If there was one match that encapsulated everything that Kamikaze's "Relentless Division" should be, it was this utterly ridiculous match, between two of the UK's best Junior Heavyweights. The opening section was some of the best action you'll catch anywhere in the UK, as the two looked to out do each other in a blindingly quick series of back and forth action, with way, way too much stuff going on here to actual make any coherent notes on! Trust me, it was bloody marvelous. 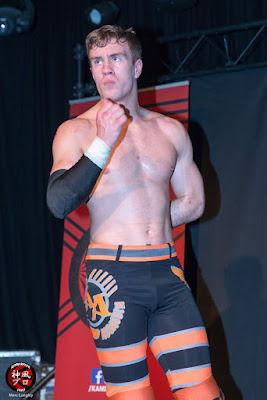 Despite this being Ospreay's first appearance for Kamikaze and one of his only appearances in the West Midlands, he was very over with knowledgeable Coventry audience, with loud chants of "Ospreay, Ospreay, Ospreay, Ospreay" (replacing the Ole chants) throughout the match. 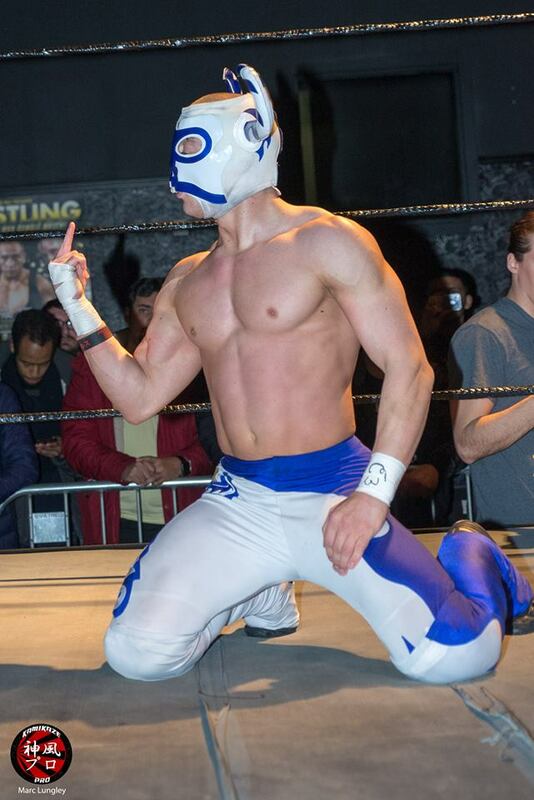 Whilst a good proportion of the audience seemed to have caught Ospreay in action for the likes of IPW:UK, Southside or Rev Pro, part of his success as the bouts babyface, has to be accredited to Ryan Smile turning up his heel persona to 11 and coming across as a right old bag of shite. Whilst I'm not sure Smile needed to use just as much fruity language as he did, considering this wasn't an Over 18's show and there was a fair few children dotted around the venue, a lot of his character work was strong and helped add an exta layer of narrative to the contest. For example, The All Day Star refusing to hit any dives to the outside in the mid-section of the match and attempting to go for the countout victory, not only denied fans some of Smile's flashier offence, but allowed for Ospreay to flex his babyface selling muscles, creating compelling action with having to do a whole lot. With the pace of the contest being to rise again, the final third of the bout produced the most satisfying performances of the entire contest. A fired up Ospreay got some great near falls, with the crowd getting hotter and hotter for each one, whilst the on-going story of Smile's frustration at being unable to put the future NJPW star away paying off in the final three or four minutes of the bout. 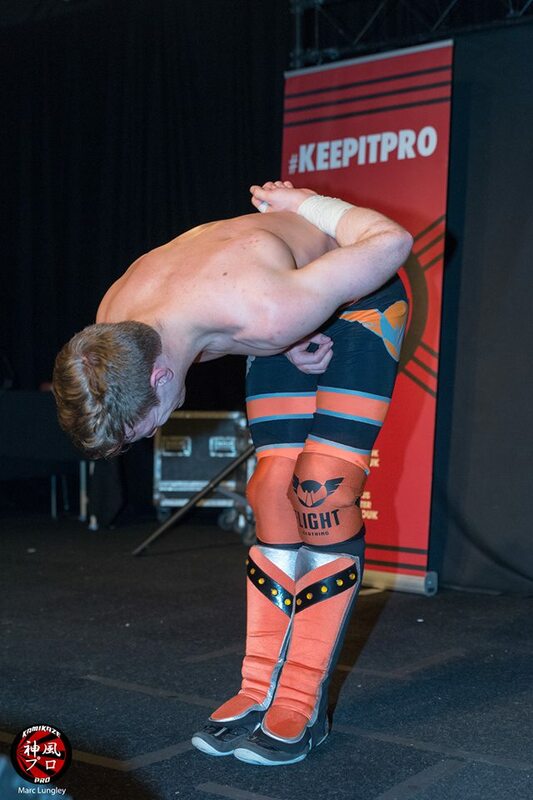 After Ospreay reversed Smile's brainbuster attempt for another near fall, Smile was able to hit a deadlift varation of the move for a near fall of his own, this was the turning point of the match where Smile's frustrations boiled over and took it to a new level. After Ospreay had missed a Tope Conhilo into the crowd (or conveniently placed Dojo trainees, who gave themselves away cheering for fellow Dojo students Mika and Elliot Jordan earlier in the night when the rest of the crowd was booing the heels), Smile took things to a new level diving head first of the balcony of the building with a beautiful swan dive that sent the crowd mental. I liked the idea that Smile only wanted to hit something flashy when he absolutely had to and if he was going to do it, then it would be something that no one would ever forget. Still it would take two Smile High Frog Splashes for Smile to retain his title, with the first one making for a brilliant false finish that got an electric reaction from the crowd! A great match, that may have been the best I've ever seen in a Kamikaze Pro ring, this was the clear winner of Match of the Night for me. Whilst it struggled to compete with the bout that went before it Pete Dunne and former PWG World Tag Team Champion Andrew Everrett put on a solid, indy bout. 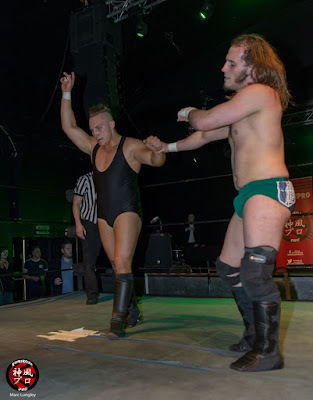 There was a cool clash of styles in this one, as Everrett went for a lot of high-flying, flashy offence, whilst Dunne stuck more to technical British style. 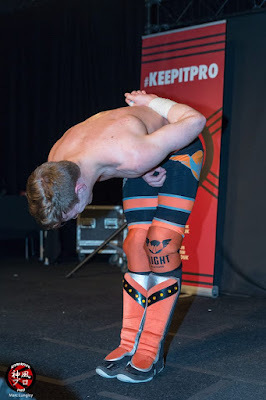 The two went back and forth throughout the match, using their preferred style, it was a shame that the bout didn't get a great deal of time and that it was positioned directly after Smile vs. Ospreay as it was always going to struggle to stand out after it. I feel like Dunne and Everrett could have done a lot more if they had another ten minutes and a main event or sub-main event slot. The finish however was cool piece of action with Dunne managing to reverse Everrett's Tombstone Piledriver attempt to hit one of his own, only for Everrett to reverse Dunne's DT3 finisher into a small package to pick up his first victory in Kamikaze Pro, giving Dunne his first defeat in 1 v 1 action since August for Kamikaze. A rematch with a brighter spotlight would be very well recieved I feel. 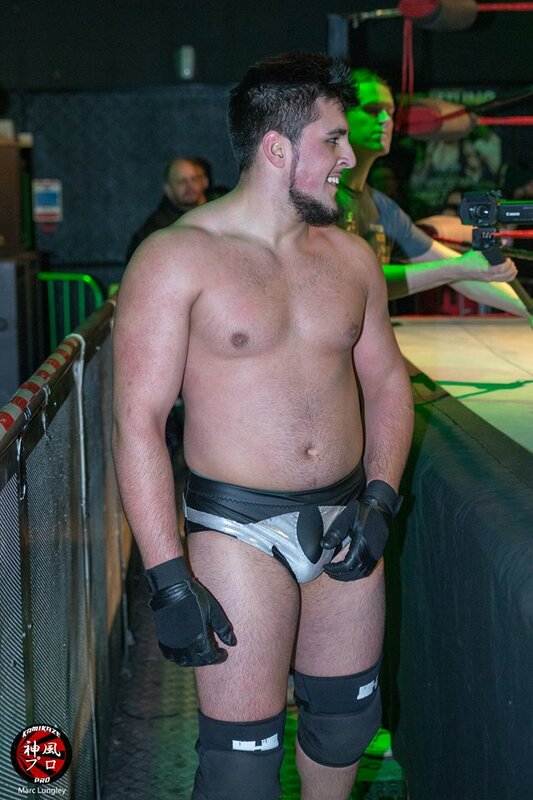 Still struggling to overcome the Smile vs. Ospreay bout and with the time getting pretty late, Blue Pants and Nixon Newell seemed to struggle to hold the fans attention for the whole match. NXT star Blue and Kamikaze regular Nixon did manage to put on some decent action, with Nixon taking on the default heel role against the American talent. 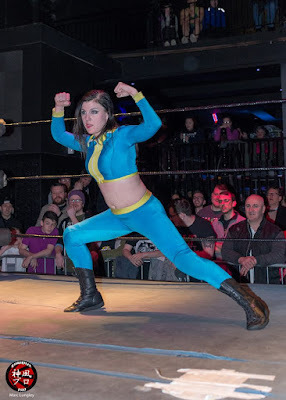 Nixon spent a fair amount of the match focusing her attention on Blue's knee, landing multiple kicks and showing a vicious side that she has rarely shown in Kamikaze to this point. With the crowd mostly talking among themselves, Blue didn't seem particularly bothered about getting them involved, with a cheesy Blue Pants gimmick not quite going over with this particular crowd, the lack of in-ring chemistry with Nixon didn't really help things either. The finish was disappointingly sloppy as Blue went for her version of the Acid Drop and botched, leading to an awkward pin from Nixon with her feet on the ropes. Nixon completed her heel turn in Kamikaze by flipping the crowd the bird on her way out, it'll be interesting to see where Kamikaze take her role over the next sixth months. In the final marquee bout of the evening, AAA's Angelico challenged Kamikaze Pro Champion Robbie X in a character-driven encounter. Robbie X was incredibly over with the Coventry crowd and seemed to revel in the crowd reaction that he was getting. Lots of loud boos, pepped with the occasional chant about his height or top-knot (potentially a pony tail, but no one cared). Robbie X controlled the pace of the early goings, denying the crowd of the flashy offence that Angelico is known for, delivering a number of chops, whilst interacting with the crowd throughout. I feel like Kamikaze is really missing an opportunity to place Robbie X in a longer running feud for the title, as he's got a lot of heat with the crowd and works them nicely, if placed against a regular Kamikaze babyface over a number of months they could create something truly special and take the company to the next level. For his part in the match, Angelico looked the part, although he wasn't as over with the crowd as you'd think he would have been. That could just as easily be due to the crowd being blown out or the fact that it's hard to find a chant that fits his name! His main part in the bout was numerous teases for his Fall of the Angels finisher, with Robbie able to escape twice before eventually hitting it for a good near fall. 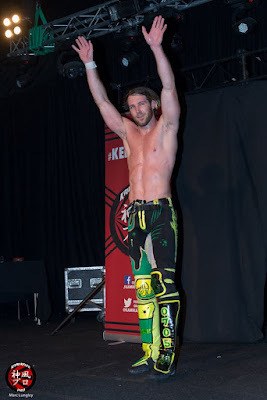 Both Angelico and Robbie X are talented in-ring performers and whilst they put together some good action sequences in the ring, I didn't feel that the two fully connected with each other in the ring and because of this they didn't reach the full potential of what they could have done together. However, if this is the quality of match the two are capable of when they don't quite gel, I'd love to see a rematch when the two are more aclimatised to each other. Of course, Robbie was up to his old way when he picked up the victory, hitting a low blow followed by a Lethal Injection to pick up the win and retain the Kamikaze Pro Championship! As Kamikaze Pro's first trip to a new city this was very good card of action. Will Ospreay and Ryan Smile earn the match of the night award, with a brilliant display of high-flying, fast-paced action that you will struggle to find done better anywhere else. 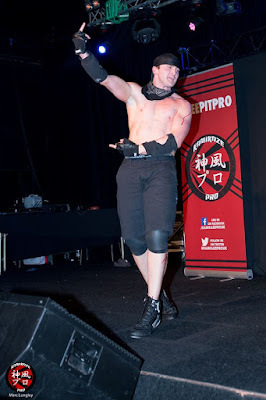 Robbie X's performance in the Kamikaze Pro Championship bout livened up a tired crowd, even if he and Angelico didn't quite connect in the ring, whilst the opening Tag Team three way bout offered some nice action, but didn't quite manage to create the break out contest that the tag team division needed. A varied undercard was highlighed by El Ligero and Shane Strickland's PWG style sprint and Clint Margera and Marshall X's brutal No Disqualification tussle. Pete Dunne and Andrew Everrett also put in some quality work, but were let down by time constraints and having to follow the outstanding Smile vs. Ospreay bout. Rounding off the card, Omari continued to show signs of promise in a simple bout with Dan Moloney, but Nixon Newell and Blue Pants failed to capture the crowd imagination in a fairly lacklustre clash.